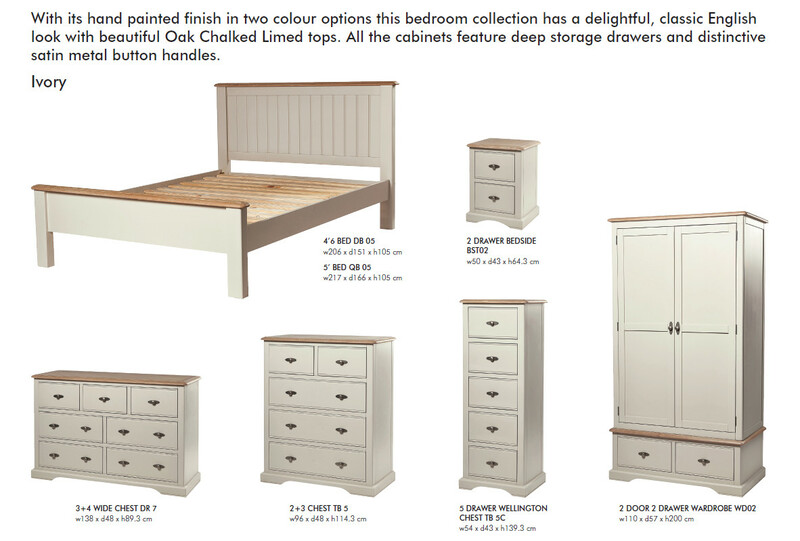 With its hand painted finish in two colour options this range of furniture includes wardrobes, drawer chests, beds, and bedside cabinets all with a delightful, classic, English look with beautiful Oak Chalked Limed tops. Other features include distinctive satin metal button handles on drawers and wardrobes with a roomy interior to host a large selection of clothes. The bed range comes in two sizes with all products being available in Ivory and Putty colours.